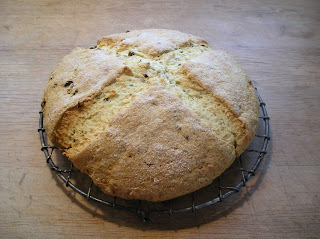 Soda bread just out of the oven. Slice a piece and serve with soft butter. I like it sliced in wedges. 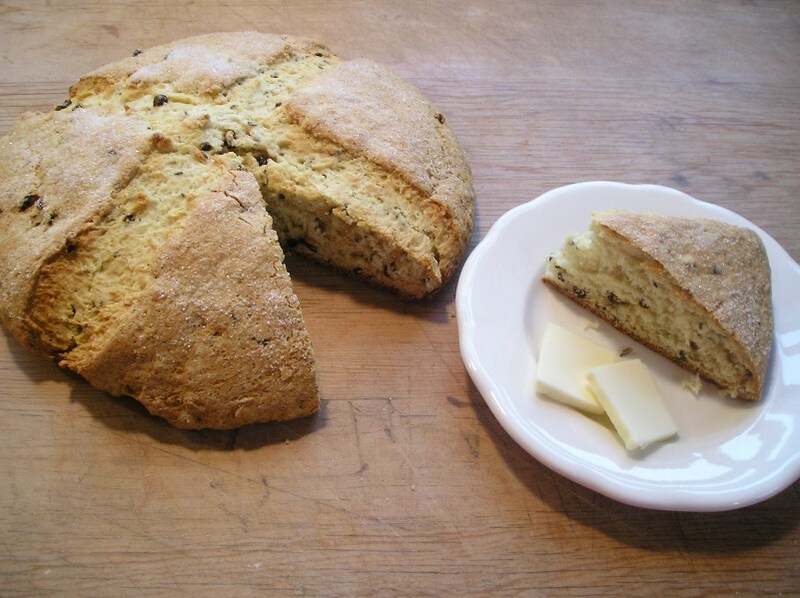 This is the best Irish Soda Bread recipe you will find. It is moist and delicious. 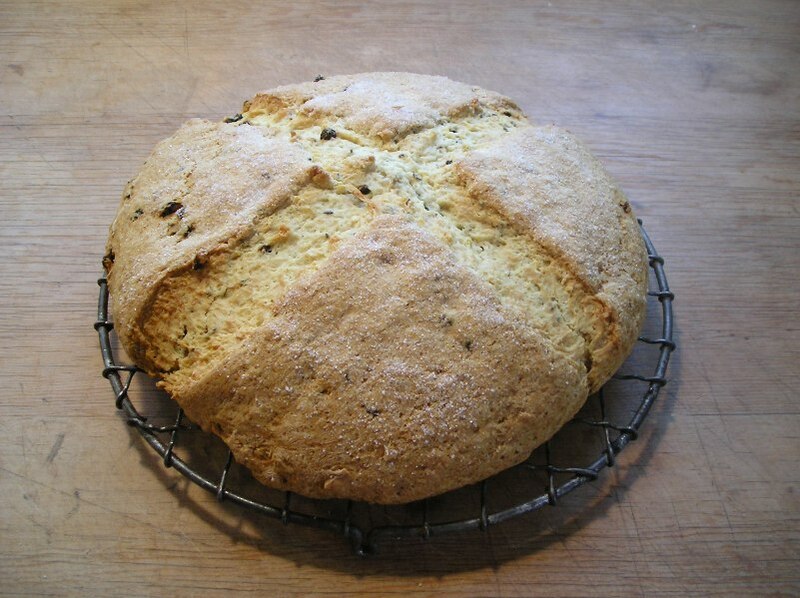 In mixer bowl, combine the flours, baking soda, baking powder, salt and sugar. 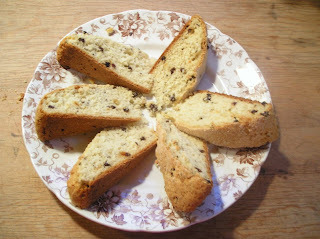 Mix in butter and mix until crumbly. Add currants and caraway seeds. Pour in buttermilk and mix until combined. Take the dough out of the bowl and place onto a floured board and knead for 1 minute (add a little bit of flour so that it not too stick- but not too much). Roll the dough into a ball and pat down to about 2 inches thick. Slash a large X, about an inch deep, across the dough. Sprinkle well with additional sugar. Bake for 25 minutes until light golden brown. Cool on rack and serve warm (with lots of soft butter). Yum! !